Dedicated to practices that illuminate and relieve patterns of suffering and support living with authentic joy and harmony. Mindful yoga practices, partner yoga, seated yoga, mudra meditation, and communication skills that help to cultivate connection, curiosity, and compassion. 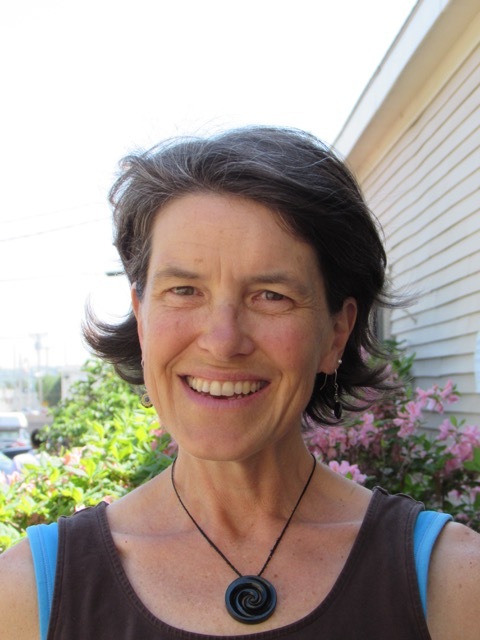 Yoga & LIfe, all levels yoga classes in Portland and on Peaks Island, Seated Yoga classes, Mindful strength training on Peaks Island, and communication coaching and Non-Violent Communication practice groups in Portland. My classes are welcoming, accessible, and spiritual. I teach yoga as a lifestyle that supports physical, emotional, mental and spiritual fitness. We connect as a community in each class to maximize the benefit of practicing yoga in a group. My mother introduced me to her yoga teacher about 30 years ago. I took a break from yoga for two years of Martial Arts training. After participating in my first Kripalu Yoga class, I walked out knowing that I would teach some day. I’m just beginning my 25th year of teaching yoga. Whichever pose I am practicing is my favorite in that moment! I ride my bicycle long distances for joy, for mental health, and to explore and care for the planet. I have been studying constantly since I left my corporate job in 1983 and dove into fitness, care of the earth, and healing arts practices. Here is a small part of my studies.